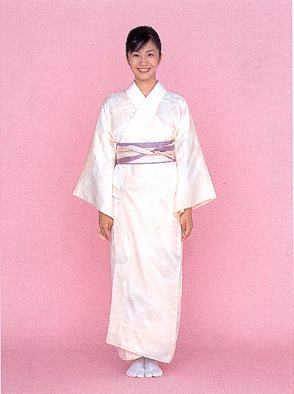 Nagajuban is like underwear, and it is worn underneath the Kimono. 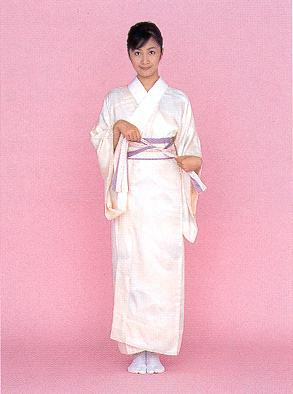 1) Wear Nagajuban. 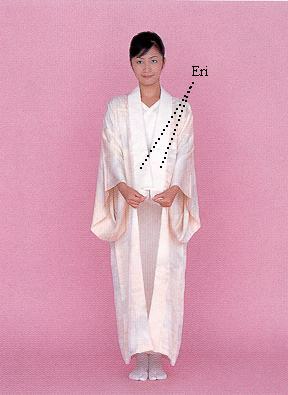 Hold both ends of Eri. 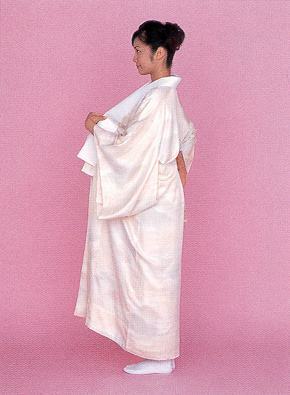 Make sure that the seam comes on the center of your back. 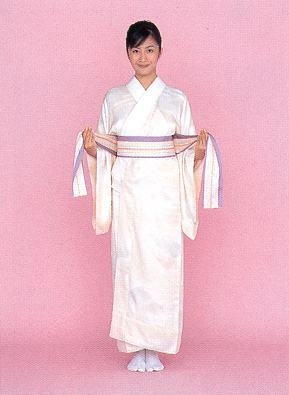 2) Hold the both Eri with one hand and pick the seam on the back with the other hand. Make room between the Eri and your neck that is about the size of your fist. 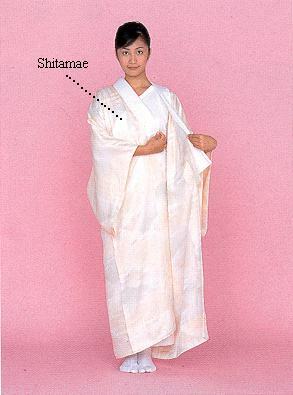 3) While being careful not to pull the Eri, wrap your chest with Shitamae. 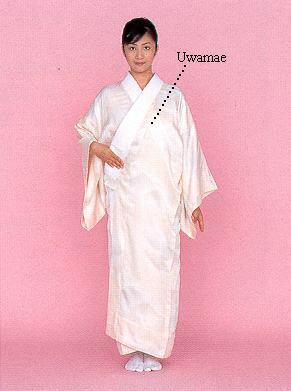 4) Put over Uwamae so that the cross section of the two Eri comes to the center. 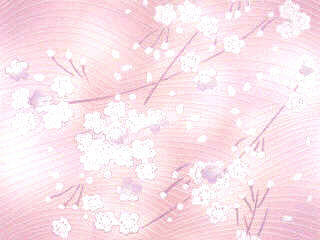 5) Hold the center of Datejime with your right hand, and bring it to your left with your left hand. 6) Wrap it around your back, get the both sides crossed in the back and bring the ends to the front. 7) Tie it once and turn the ends to the other direction. 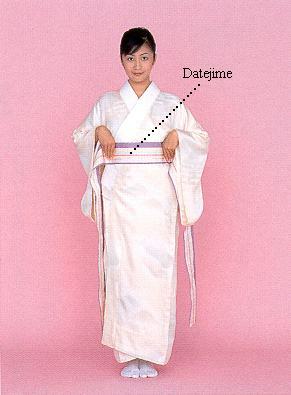 8) Tuck the ends underneath the Datejime and remove the wrinkles from the back.